Learn how to create, grow, or improve your membership program. What is a membership program? Implementing a membership program is a nonprofit fundraising and stewardship strategy. The nonprofit grants members certain privileges or perks in exchange for charitable contributions given in the form of membership fees or dues. Why do nonprofits implement membership programs? Membership programs are an excellent way to increase engagement within organizations. Additionally, organizations registered as unincorporated associations must use a membership model to raise money. Is membership the same as recurring giving? Although members pay for their membership in the form of recurring dues, membership and recurring giving are not synonymous. With recurring giving, there is no exchange made on the part of the nonprofit; memberships, however, provide benefits. 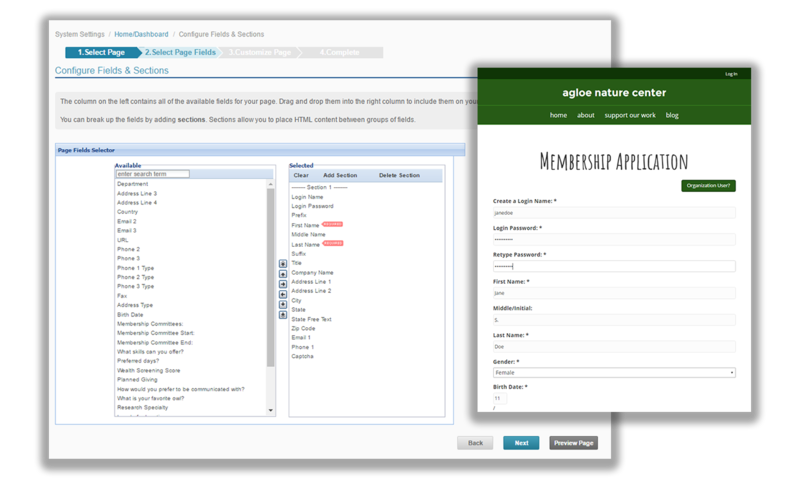 Custom online forms make member engagement simple. Keep member data in one place so you can build relationships. Let members manage their accounts and access information. 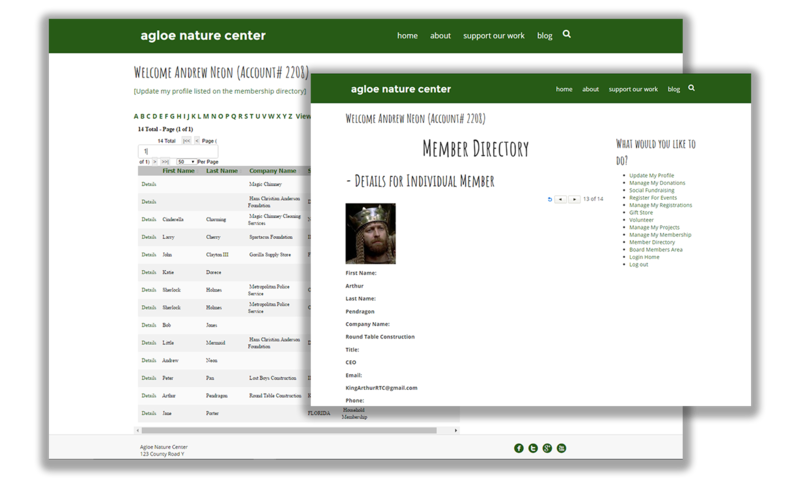 Create dynamic directories to share with your members. Reach new members — and keep existing members engaged. 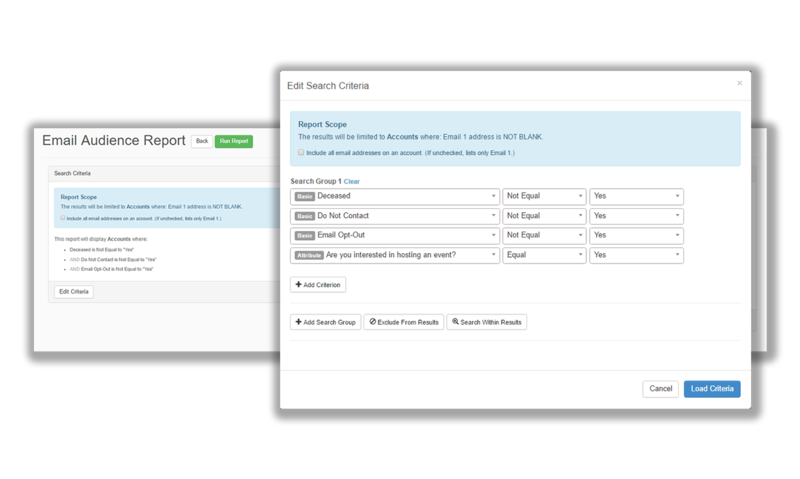 Leverage member data with advanced reporting and insights. 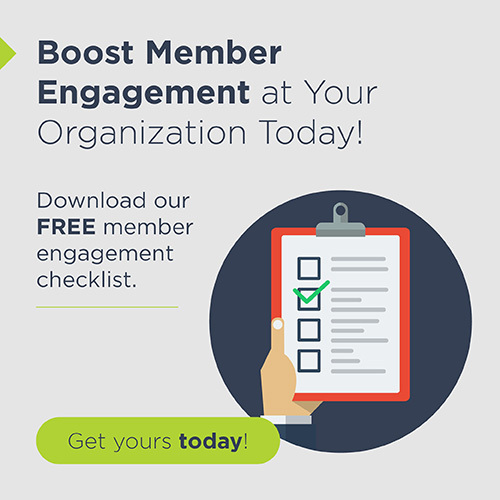 Download our membership engagement checklist! All in just one month with Neon’s membership software. Trade associations rely on membership programs for all their fundraising needs. With trade association membership models, members are usually corporations or individuals from wealthy professions. As such, fees are generally set at a higher amount than with other types of membership models. In exchange for their monetary contributions, members of trade associations usually receive partial influence over decision-making within the organization. The members-as-donors membership model is usually what comes to mind when many nonprofits think about membership. With this model, donors will submit a membership fee and gain status as members, receiving in return the satisfaction of knowing they’re supporting a good cause. Because donors don’t receive any internal influence at the organization, the interaction between the organization and the member is usually limited after members pay their dues. With the members-as-consumers model, members are treated more like consumers than donors. That being the case, this model has little to do with fundraising and more to do with community-building. Because they want people to enjoy the benefits of their services, the nonprofit sets fees relatively low or might even offer membership for free. The hope is that, in return, the nonprofit will build a strong network of donors that can support each other, further the cause, and grow the organization. The members-as-advocates membership model is the most ambiguous type of membership program. Because advocacy groups are more concerned with furthering causes than fundraising, this model relies on an exchange of intangible benefits. Members will offer their voices, actions, and skills, while the organization provides a guiding structure for mobilizing advocates. However, since many organizations with an advocacy focus still need to fundraise, they’ll also often incorporate a consumer-based model as well. Show me how membership software can help me organize my member program. What is the structure of our membership program? Because each type of membership program offers different benefits and has a slightly different focus, it’s important to clearly define the parameters of your membership program before you offer it as an option to donors. Once you’ve decided which role would be most valuable for your nonprofit, consider what you can offer members in return. The better you can pinpoint their interests and concerns, the more compelling and successful your membership program will be. How much should we charge for membership fees? One of the most important parts of defining a membership program will be setting membership fees. To set membership fees at the appropriate amount, your organization should first set a membership goal. If your membership program is tied more to raising money, you’ll want to come up with a monetary amount. If you’re seeking something more intangible from donors, it’s probably better to set a goal for the number of new members you hope to recruit. The format of your membership model. The size of your program. The financial capacity of your constituents. Together, these three factors will influence where you should set your membership fees. Who will head our membership program? If you’re making membership a staple of your organization, you’re going to need an individual or team to head this effort. To determine which person (or people) will be most suited to manage your membership program, you should consider both the type and scope of your membership model. An individual. If your membership program is fairly small and just one of the many ways your organization engages constituents, you can probably get away with delegating this effort to just one staff member. A team. If your membership program will be an extensive effort that’s core to your organization’s success, you’ll probably need multiple staff members to oversee it. Volunteers. If your nonprofit doesn’t have enough staff to manage a large membership effort, you might also consider recruiting the help of volunteers. To make your membership program as successful as possible, make sure that you’ll have enough hands devoted to this effort from the beginning. How will we manage subscriptions and renewals? To achieve member status with your organization, your donors will have to subscribe to your program and renew their membership once it expires. Seeing as subscriptions and renewals will be integral to facilitating your membership program, you’ll need a way to manage them effectively. Especially for large organizations with a vast number of constituents, this task might be easier said than done. Luckily, there’s association management software, which was built to help nonprofits better oversee their membership programs. This type of software will allow your organization to easily and efficiently manage subscriptions and renewals while also leaving less room for error than if you were doing it manually. Will people have to apply? No matter how your membership selection process takes place, the first step to accepting new members is extending (and processing) a membership application form. Depending on your type of organization and your membership standards, the application might be a way of collecting information or reviewing prospective members to ensure they meet certain criteria. You might screen your applicants on any number of qualifications, from education requirements to professional affiliations. For example, a trade organization might prefer to accept only those who have been working in the respective field for 5+ years. Or, your organization might simply want to get to know future members before granting membership privileges. If so, the application is a great place to request pertinent information and ask that the applicant elaborates on their interest in the cause! For more information on optimizing your membership application form, check out our guide right here! Show me how Neon can help me with every aspect of my membership management. While you might want to market your membership program to your entire supporter base, it’s important to keep in mind that not all members will be equally important to your organization. To clarify, of course all members will be valuable to your organization in some way, but some members will afford your organization more resources, influence, or benefits than others. As such, you’ll want to target your membership program to the prospects who will be the most crucial when it comes to furthering your organization’s membership goals. For example, if you’re a trade association, the most beneficial members will likely be those who practice that trade. If you’re a community-based organization that’s using a members-as-consumers model, you’ll mainly want to market to those in your specific community. No matter what membership model you’re using, think strategically about which groups you should be targeting so you can allocate your resources in the most effective way. As much as a supporter might be interested in your membership program, a long or complicated membership form can deter them from actually subscribing. But if you’ve already gotten your supporters to the subscription form, the hardest part is done. Don’t let your hard work go to waste! To see the highest membership subscription rates, you should optimize your membership forms, both online and off. 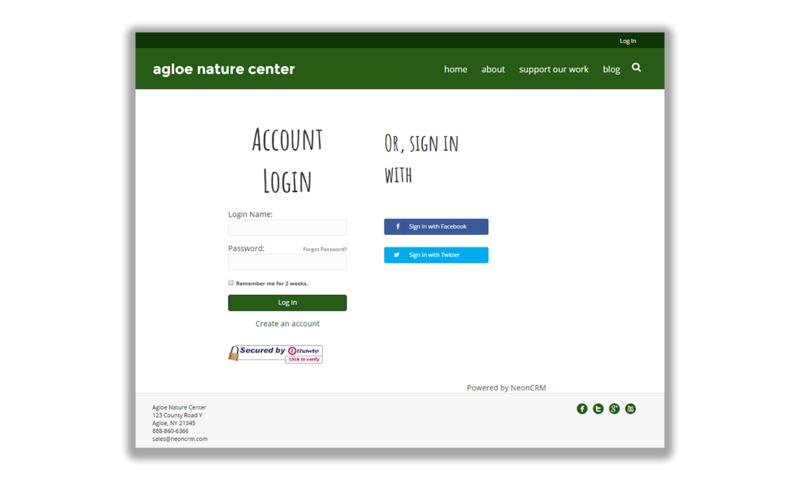 In this instance, optimizing your form means you should make it as convenient and intuitive for your donors as possible. When it’s easy for new members to subscribe, there’s a much better chance that they’ll do so! Feature your form prominently on your website so that supporters can readily access it. Brand your form to ensure that supporters always know they’re interacting with your organization. Keep your form short and sweet. Applicants should be able to complete it in one sitting. 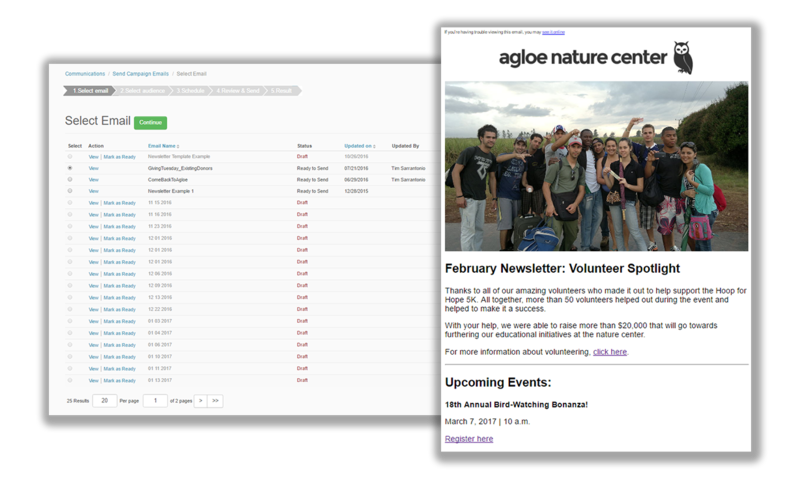 Include various membership levels to open your program to a wider audience and give supporters more flexibility. 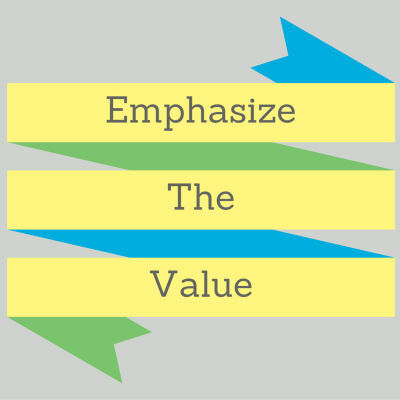 Best Practice #3: Emphasize the Value. The very nature of membership programs is incentivizing. Use that incentive to your advantage! In order to see the highest recruitment rates, you should emphasize the value of your program for donors. Always spell out the privileges and perks when marketing membership. Try not to focus on superficial or materialistic benefits (like memorabilia branded to your organization or free parking), but instead those that offer donors something deeper and more meaningful. Additionally, your marketing should be donor-centric. Instead of featuring your organization’s achievements, you should talk about all of the good work donors have done in the past to further your cause. When donors feel valued and see all of the amazing benefits your program can offer them, they won’t hesitate to sign up! Invested constituents can now have the opportunity to have a say in your decision-making and directly influence your organization’s actions. Members will join forces with others and receive a powerful guiding structure that will better enable them to enact the large-scale change they hope to see. Supporters will receive a whole new community of like-minded members to enrich their lives and unite with them in furthering your cause. If your program offers members access to special programs and services, you’ll provide members new knowledge and skills that can last a lifetime. 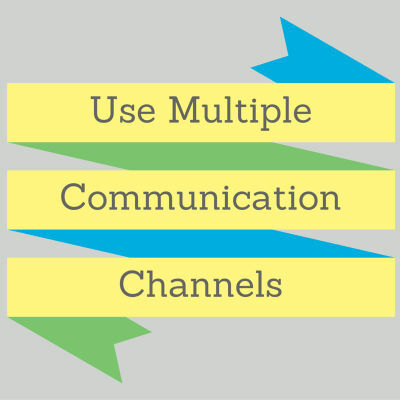 Best Practice #4: Use Multiple Communication Channels. Your supporter base isn’t one uniform collective. All of your supporters come from different backgrounds and thus have different interests and preferences. For example, while a younger donor might love communicating through social media, a supporter in an older demographic might prefer more traditional channels, like direct mail. To increase the chances that your membership marketing will appeal to more supporters, you should use a multi-channel marketing approach. Using multiple communication channels to interact with supporters ensures that you’ll contact as many supporters as possible through their preferred channels. When you meet supporters where they want to be, they’re sure to be more receptive to your outreach and more likely to subscribe to your membership program! 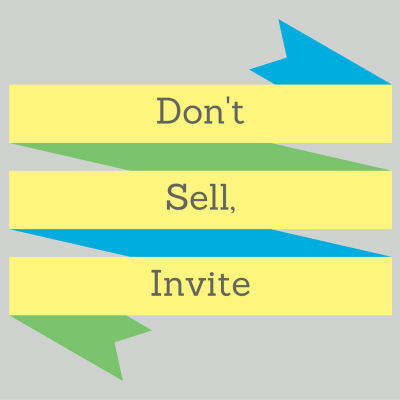 Best Practice #5: Don’t Sell, Invite. 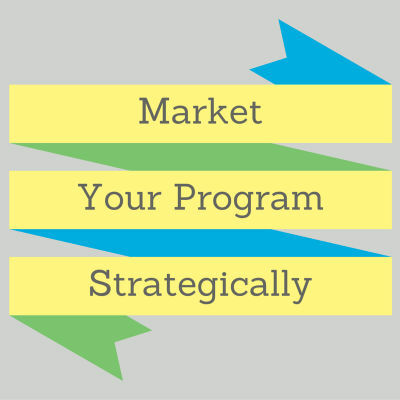 While we’ve been referring to telling your supporters about your membership program as “marketing,” it’s important to keep in mind that you shouldn’t be selling your program as you would a product. Instead, your membership marketing should invite supporters to become part of an exclusive club that enjoys special benefits. Why, you might ask? First of all, no one likes to feel like they’re being sold to. This can make it seem like your organization is only concerned with donations, not building genuine relationships with your supporters. Secondly, selling your program puts supporters into the mindset that this is a purely commercial transaction. While your model might have commercial elements, your membership program offers donors something much deeper and more valuable than merely the exchange of money for products or services. When you invite your supporters, on the other hand, it will make them feel special and important. If that’s not incentive enough to subscribe to your program, we don’t know what is! 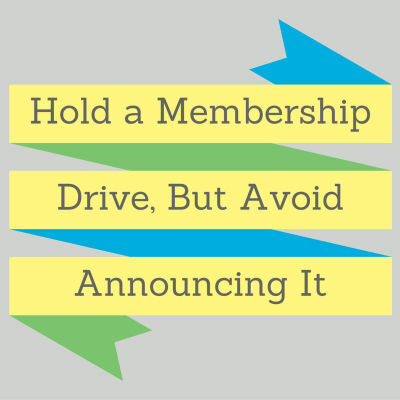 Best Practice #6: Hold a Membership Drive, But Avoid Announcing It. While you should certainly host a membership drive, you certainly shouldn’t advertise it to your current members. For those of you that aren’t familiar with them, membership drives are simply campaigns that organizations run to increase member recruitment rates. Oftentimes, they provide new members with certain discounts or additional benefits to spur subscription rates. Hosting a membership drive will be beneficial to your organization, because you’ll have a strategy for actively recruiting new members. However, since you’re likely offering these new members special perks not granted to your existing ones, it can lead to hard feelings if you announce the drive to those existing members. Additionally, one of the draws of membership is that donors will get to join an exclusive club. If you announce a widespread recruitment effort, it can really decrease this incentive, which could hurt both your member recruitment and retention. Give me more tips on how to delight my members. 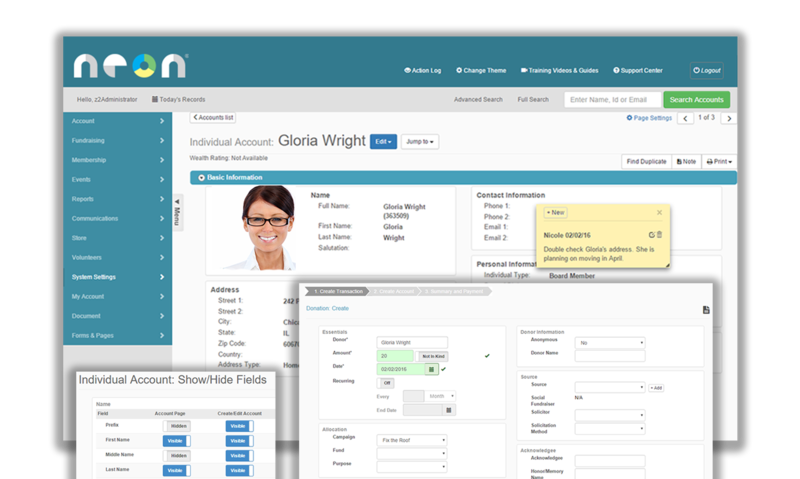 Learn how Neon’s membership software helps organizations like yours grow faster. 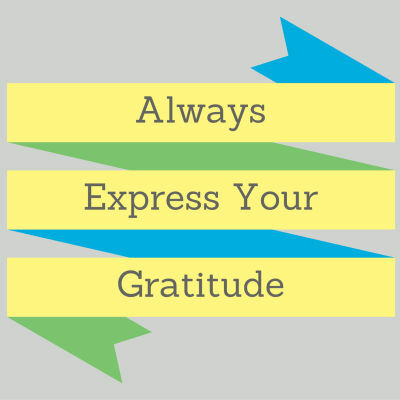 Best Practice #1: Always Express Your Gratitude. As all nonprofits know, one of the keys to excellent stewardship is to thank your donors sincerely and frequently. And your membership program is no exception! In order to retain existing members, you should always express your gratitude. While you should thank all of your supporters, keep in mind that your members have gone above and beyond when it comes to supporting your organization. Not only are they making monetary contributions, but they’re also passionate enough about your cause and work to identify themselves with your nonprofit. Such a grand gesture of support deserves a thorough thanks, so don’t be shy about acknowledging members! You’ll see much higher renewal rates. Failing to acknowledge your members, on the other hand, can lead them to believe that you aren’t grateful for their support. When your members don’t feel valued, they’re far less likely to renew. Set yourself up for success by thanking new members from the moment they sign up. Trust us: when you see how happy your members are, you’ll be glad you did. Whether it’s signing an online petition or attending one of your appreciation events, you should always thank members after they’ve participated with your organization. Just because you’ve gotten your renewal doesn’t mean that expressing your gratitude should fall by the wayside. Thank renewing members so they’ll renew again next year! 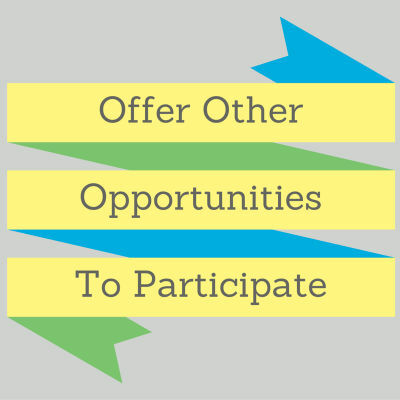 Best Practice #2: Offer Other Opportunities to Participate. While some membership models will naturally facilitate plenty of interaction between the organization and its members, other models are more hands-off. Although this is just the nature of some models, failing to interact with your supporters can really hurt your retention rates. Think about it this way: Have you ever heard the expression “out of sight, out of mind?” While in theory your members might know that you’re using their contributions to do good work, if they rarely interact with you, it’s all-too-easy for them to forget the benefits that your program is offering them. Actively engaging your members will make the benefits of your program more tangible to them, while also making them feel more connected to and valued by your organization. Ready to maximize membership engagement at your organization? Check out this article to learn how to avoid the most common membership engagement mistakes! 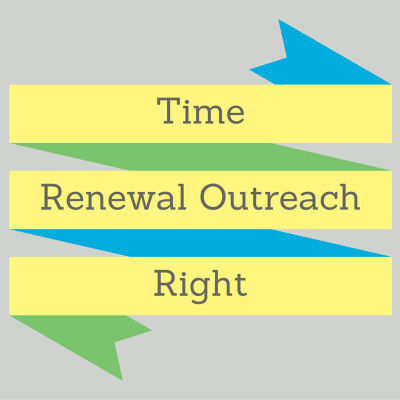 Best Practice #3: Time Renewal Outreach Right. In order to retain members, your organization will need to reach out to remind members that their membership is expiring and to encourage them to renew. One of the factors that will influence the success of your renewal outreach is the timing. You don’t want to start sending members reminders too early and risk bothering them, but at the same time, you don’t want to time it so late that expiration is here and gone before they can think about renewing. Exactly when you start and stop appealing to members to renew will depend on your organization and the parameters of your membership program. However, most organizations start contacting members around 1-2 months before their membership expires and stop soon after expiry. For extra help crafting the perfect member renewal letter, check out our how-to guide (and be sure to download the free template, too!). 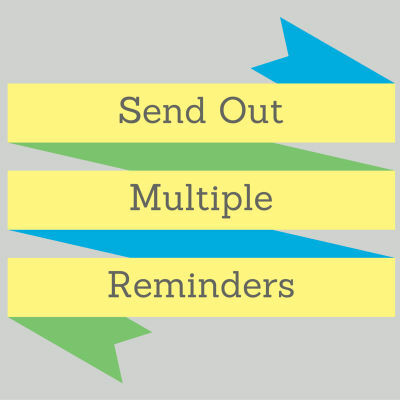 Best Practice #4: Send Out Multiple Reminders. Another key to your renewal outreach is persistence. While you shouldn’t be too persistent (you don’t want to inadvertently annoy your members), you should definitely send out multiple renewal reminders. Your renewal strategy will depend on your organization’s resources and the scope of your membership program. However, all organizations will benefit from taking a multi-channel approach. For example, your organization could mail a letter to members about one to two months before expiry, then follow it up with regular email reminders. Many of your members might not be aware that their membership is expiring or might not know how to go about renewing. Sending out multiple reminders will ensure that all of your members are aware of their membership status and will know exactly how to renew if they wish to do so. 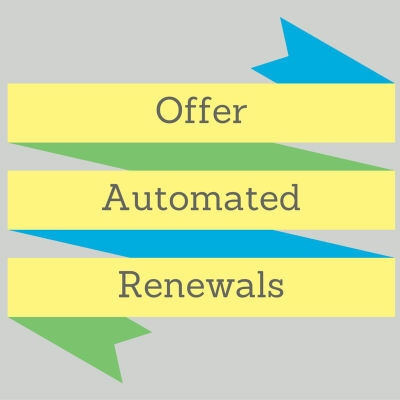 Best Practice #5: Offer Automated Renewals. The easier you make renewal for your members, the more likely they are to renew. One simple way to make renewing more convenient is by offering automated renewals. Most robust association management platforms will allow your organization to store donors’ payment information and automatically charge them for a new membership when it’s time to renew. When marketing your membership program, both initially and at expiry, emphasize automated renewals as an option and spell out how your members can get set up. Just make sure you have the member’s explicit permission before you set them up with automated renewals. Double check that they’re clear on exactly when they’ll be charged and that they know how to opt out of they ever choose to cancel their membership. 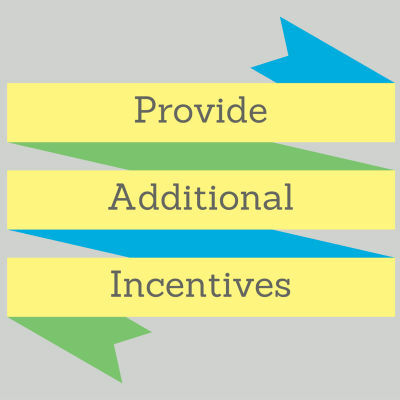 Best Practice #6: Provide Additional Incentives. What if you could make your membership program even more appealing to your members? Well, you can! If your organization has the resources, you should consider providing additional incentives for renewing membership. While this strategy is highly effective when it comes to increasing your member retention rates, you should keep it in your back pocket and resort to it only if necessary. Some of your members will likely renew without being offered additional incentives, so you don’t want to inadvertently miss out on any gifts by implementing this strategy too soon. However, if you see that you’re not getting as warm of a response to your renewal outreach as you’d like, you can offer your members these additional incentives as expiry draws nearer. The types of incentives that you can offer your members can vary from small product tokens (like key chains, t-shirts, or mugs) to more substantial benefits like discounts for membership, reduced rates for fundraisers, and early entrance into events. Show how Neon’s membership software can help me reach and engage members. Learn how member management software can help your organization. Learn how this org grew membership by 360% in one year. 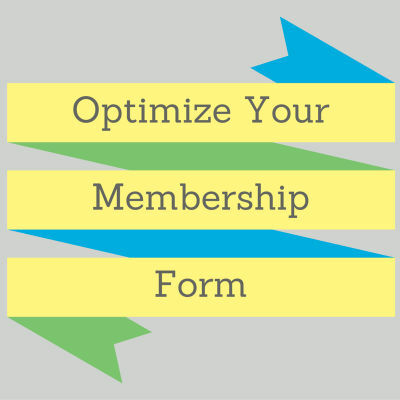 Optimize your membership application form with these tips. Follow these best practices for writing member renewal letters.